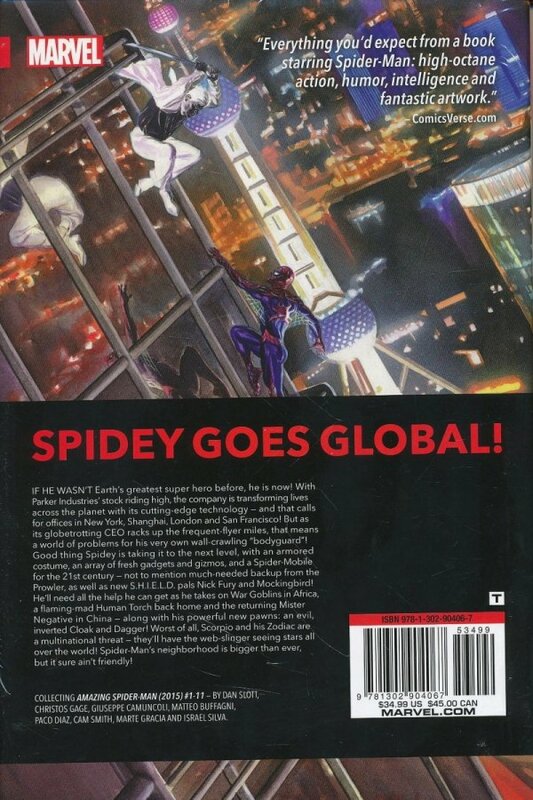 The world’s greatest super hero goes global! Parker Industries is more successful than ever, with new offices in Shanghai, London and San Francisco. Peter Parker is racking up the frequent-flyer miles - with his "bodyguard" Spider-Man in tow! But success breeds enemies, like the astrological Zodiac, who have widened their scope to threaten the entire planet - and they’ll battle Spider-Man all across Europe in a massive final showdown! Plus: Someone in Africa is masquerading as a member of the Goblin family, and it’s up to everyone’s favorite wall-crawler to investigate. And in China, the malevolent Mister Negative has two of Spidey’s former friends in his thrall - the fan-favorite duo Cloak and Dagger! Spidey’s neighborhood is bigger than ever, but it’s far from friendly! 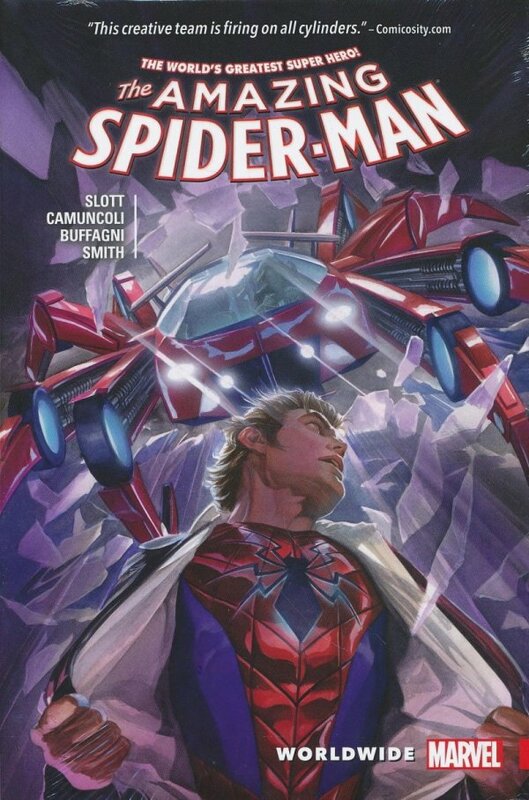 Collecting AMAZING SPIDER-MAN (2015) #1-11.